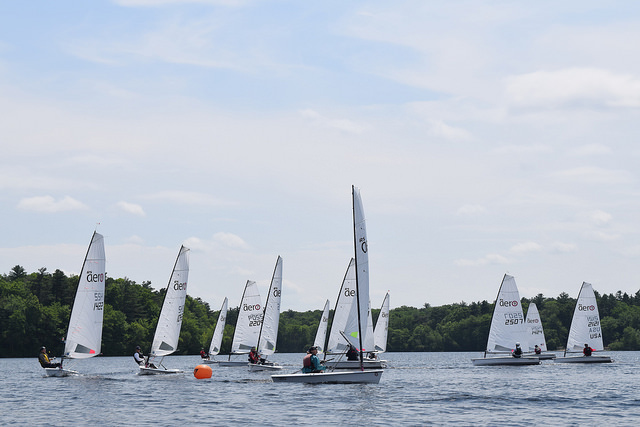 Already the 4th year that RS Aeros have joined the Massapoag YC Regatta and the fleet has steadily risen each year with 19 RS Aero entries joined by the Laser and Sunfish fleets. 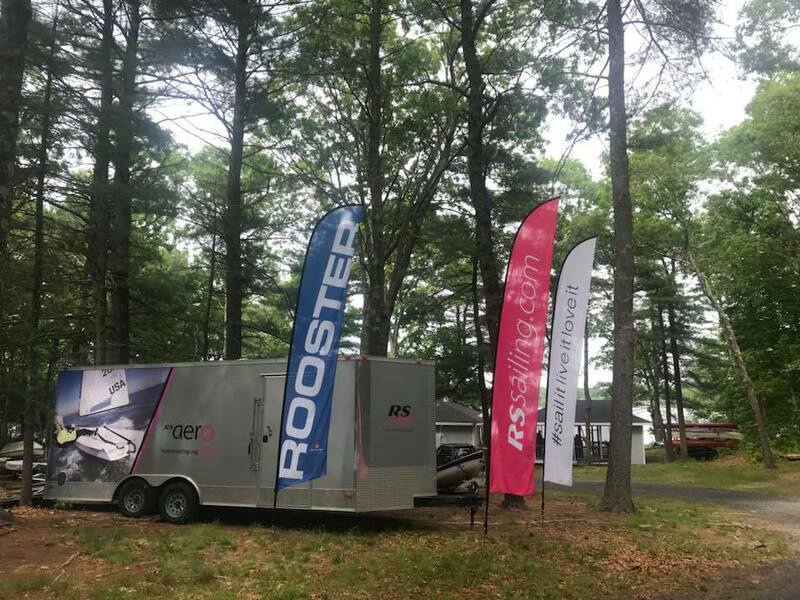 The RS Aero entry included several new owners, charterers for the RS Aero mega 10 boat charter trailer, 4 Ladies and an international visitor from the UK! 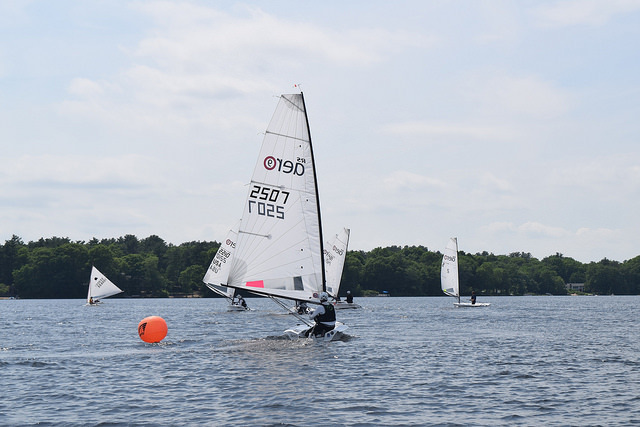 Puffy lake conditions gave just about everyone a chance at the front at some point during the day! Racing was held on time Portsmouth yardstick basis between the RS Aero different rig sizes. Congratulations to Marc Jacobi for his 1st place and to Gareth Griffiths from the UK for making him work for it! Top Lady was Angel Hickey of Cottage Park YC in 7th. RS Aero 9s took the top 5 places with Gary Werden the top RS Aero 7 in 6th. All the competitors enjoyed great days racing and a lovely day out. 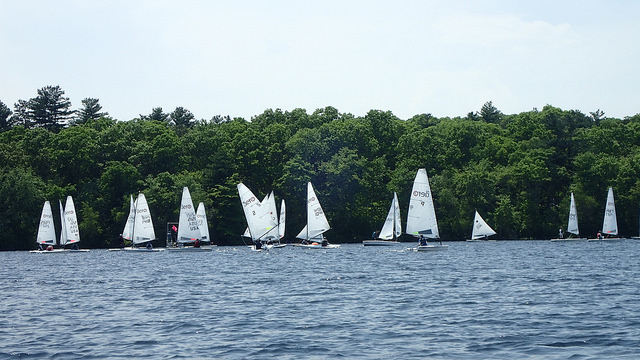 This regatta gets better every year with the enthusiasm of Massapoag YC members to run a fine event – so much more than just sail boat racing! Full details of the North American RS Aero events list for 2018 can be found HERE.